Monday-Thursday from 8:00-3:00 and Friday from 8:00-12:00 from June 16-June 27 and July 14-July 17. 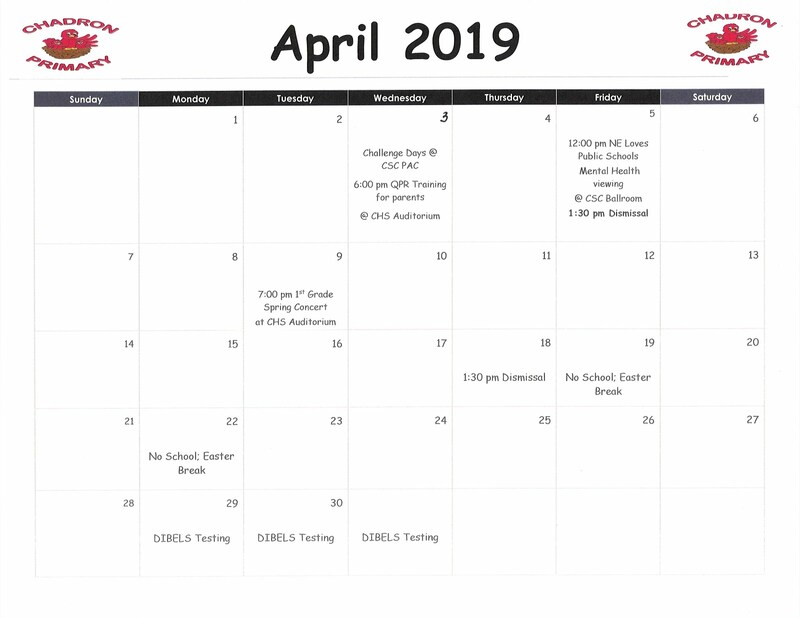 Please register during these dates. Thank you. Primary May Lunchroom Champions were rewarded with a root beer float on Friday, May 16. This month's winners were Kindergarten - Team Hoffman with 79 points; First Grade - Team Claussen with 80 points; and Second Grade - Team Uhing with 75 points. Mrs. Hoffman's Team and Mrs. Claussen's Team were first time winners. Great job students! The Chadron Public Library Summer Reading Program will kick off on June 2nd and will continue until July 19th. You may register your child on June 2nd from 10:00 a.m. until 8:00 p.m. or any time after June 2nd. To register, your child must be 6 months-18 years of age and must have a library card to check out books and materials. Upon registration, your child will receive a log book to record the number of minutes or title of books he/she reads. Every child who completes the program by finishing his/her log book will be invited to a final party with certificates and awards. The library will be offering a variety of programs, giveaways, and contests all summer. You or your child may pick up a list of events. Children of all abilities are welcome. Monday - Thursday - 10:00 a.m.-8:00 p.m.
Friday - 12:00 p.m.-5:00 p.m.
Saturday - 12:00 p.m.-5:00 p.m. The Lunchroom Champions for April were announced on Friday, May 2. The following classes were the winners: Mrs. Landreth's Kindergarten Students with 155 points, Mrs. Bounous' First Grade Students with 167 points, and Mrs. Hudson's Second Grade Students with 156 points. This month the students were rewarded with "dirt" cups. You are "tops," students. Keep it up! 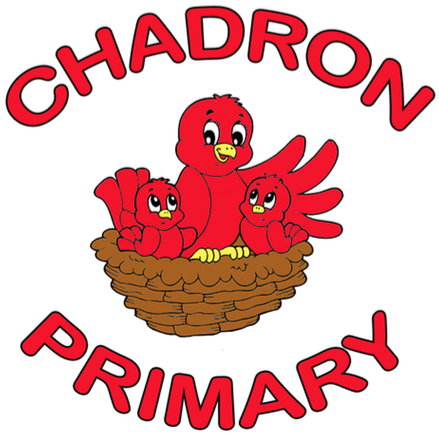 Chadron Primary School held their annual Kindergarten Roundup on Friday, May 2nd. Sixty-four of the potential eighty Kindergarten students for the 2014-15 School year showed up to meet their teacher and their classmates. Kindergarten teachers Mrs. Mikel Landreth, Mrs. Tara Hoffman, and Mrs. Kristin Fisher, and substitute Mary Ann Wess (for Mrs. Melissa Brayton) were here to greet them and share some of the activities and routines that they will experience during their first year of school. The new Kindergarten students had a great time and will hopefully be anxious to begin school in the fall of the year. The teachers are really looking forward to teaching this new group of students. Mrs. Libby Uhing, second grade teacher at Chadron Primary School, was presented with a $5000 technology grant from Great Plains Communication. This award allows Mrs. Uhing to purchase six iPads for her second grade students to use in their classroom and a MacBook for herself. Mrs. Uhing has been a leader in technology in both our building and in our district. She has a lot of innovative ideas on how to utilize technology in her classroom and has implemented many of those ideas. Congratulations, Mrs. Uhing. You are well deserving of this award. The students and staff at Chadron Primary School participated in the Walk at Lunch promotion on Wednesday, April 30. Instead of having a lunchtime recess, students got their physical activity by walking/running around the high school track for fifteen minutes. The weather was perfect for walking, and the students had a great time.